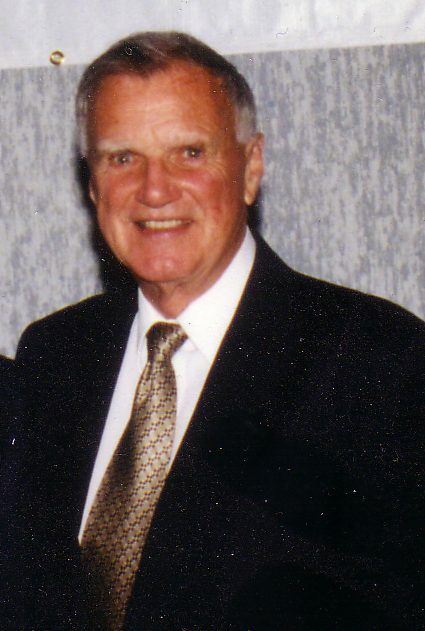 Clay Huntington was a Tacoma sports broadcaster (high school, college, and professional sports) for more than 40 years. 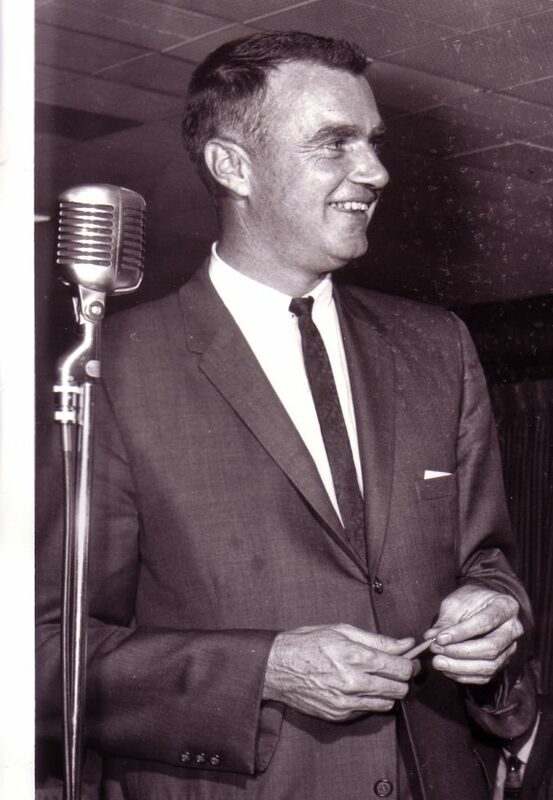 He was perhaps best known as the voice of the Tacoma Tigers of the Western International League from 1946-51.He also did the color commentary for the Tacoma Rockets hockey club in the late ’40s and early ’50s. Clay also was a sportswriter for the Tacoma Times. He was one of the founders of the Tacoma Athletic Commission and a two-time President. 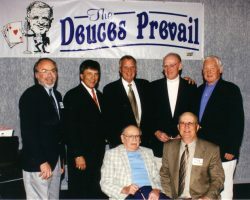 He initiated the Tacoma-Pierce County Sports Hall of Fame in 1957 and the State of Washington Sports Hall of Fame in 1960. 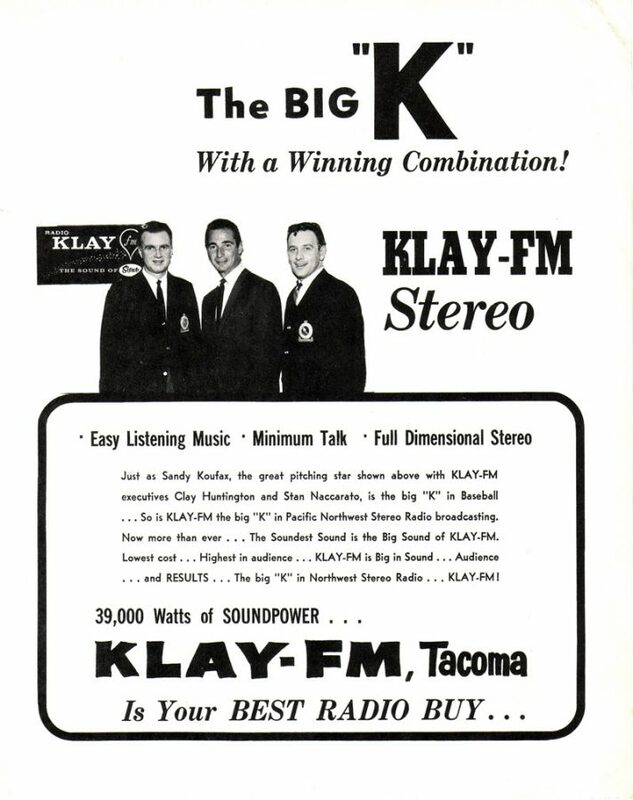 Clay was also one of the key figures instrumental in bringing Pacific Coast League baseball back to Tacoma in 1960. 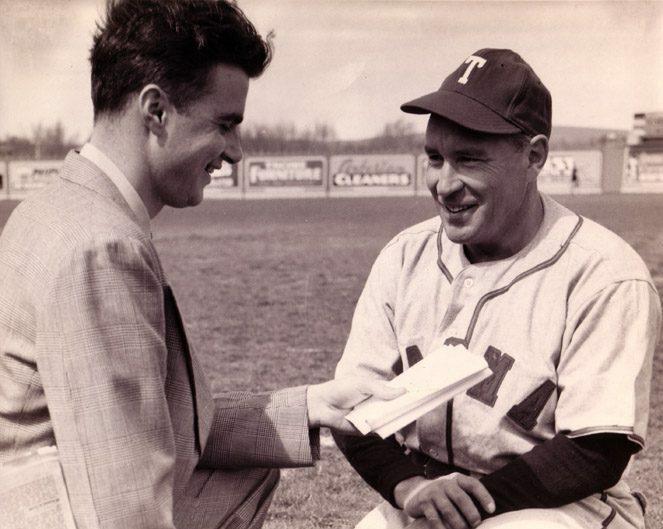 Clay interviews Tacoma Tigers manager Jim Brillheart in 1951. Clay interviews l. to r.: Felipe Alou, Matty Alou and Jesus Alou. 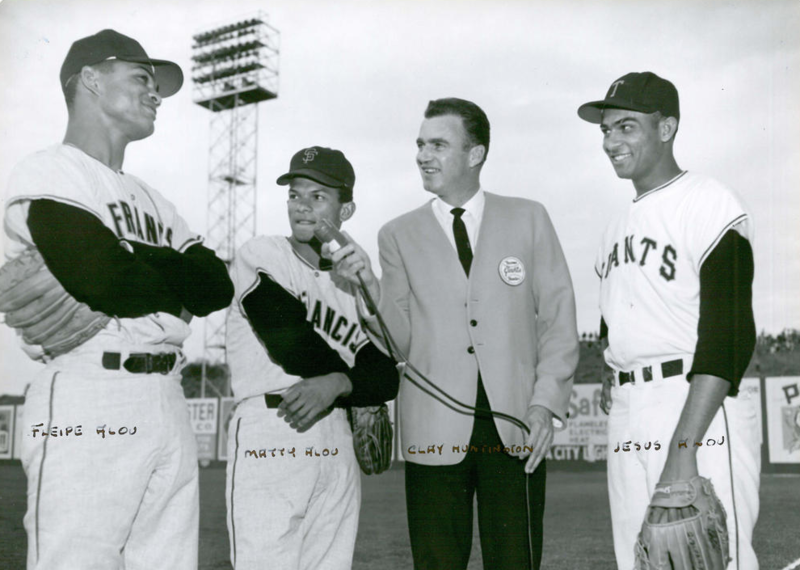 Matty and Jesus played for the Tacoma Giants in the early 60s’. 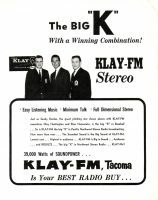 Clay Huntington’s impact on Pierce County sports extends beyond his role as a broadcaster of professional, college and high school sports in Tacoma-Pierce County during the last half of the 20th Century. He was perhaps best known as the voice of the Tacoma Tigers of the Western International League from 1946 through 1951. Helping to fund the construction of Cheney Stadium and bringing professional baseball back to Tacoma. A Triple A team has played in Cheney Stadium for the past 54 years and counting. Charter member of the Tacoma Athletic Commission, which has raised more than $6 million for amateur sports and raised the money and sparked the campaign to build the Tacoma Dome in the 1980s. Founding the Tacoma-Pierce County Sports Hall of Fame and the State of Washington Sports Hall of Fame and co-founding the Shanaman Sports Museum of Tacoma-Pierce County. Created and operated KLAY radio, which has stood out for its commitment to broadcasting local high school and college sports. Huntington’s grandfather, Samuel Adams Huntington, provided the community service model that Clay followed from his youth. Samuel Huntington, who was both journalist and promoter of sports facilities during the early 1900s. Having brought his family from British Columbia to the City of Destiny, he published a promotional weekly called The Sound and in 1910 helped lead the Tacoma Chamber of Commerce’s effort to fund construction of Stadium Bowl, the city’s first sports arena. 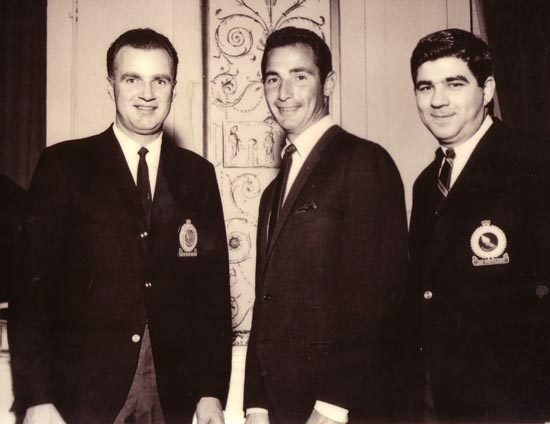 Huntington’s idol was Jerry Geehan, Tacoma’s first sports broadcaster. “I followed his broadcasting of events throughout the ‘30s,” Clay said. 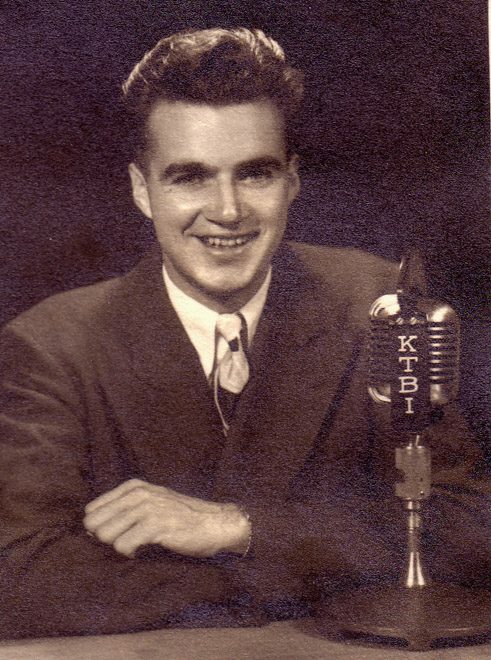 The first sportscast that I ever did was in the fall of 1941 on KTBI. It was a 15-minute show sponsored by Kreme Krust Bread and Bert’s Mens Wear and my two guests were Vic and LaVerne Martineau. 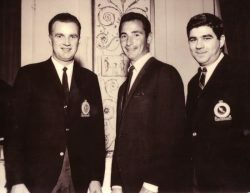 I’ve been involved in the business ever since.” Decades later Clay Huntington would inspire other young men to follow the sports broadcasting path. Huntington was among many young men and women who launched journalism careers after graduating from Lincoln High School and being part of the school newspaper staff. By 1942 he was a journalism student at the University of Washington, while also reporting the results of local high school games. He showed leadership qualities early on, approaching Tacoma Mayor Harry Cain (who later served as a U.S. Senator) to arrange a football game in Stadium Bowl featuring the 2nd Bomber Command and March Field, California. The mayor called together a group for a meeting in his office. “Here was I a kid in high school meeting with the mayor and other community leaders.” The result was a decision to form the Tacoma War Athletic Commission, which raised money to buy athletic equipment for local servicemen. “War” was removed from the title in 1946. “The TAC really isn’t a commission. It is an athletic roundtable. But the name stuck,” Huntington said. Young Huntington soon became Saturday sports editor for the Tacoma Times, while also taking journalism courses from Murray Morgan at the College of Puget Sound. He remained at the Times while attending C.P.S. until the News Tribune purchased the newspaper in 1949. Gradually he shifted from the printed sports page to radio and television announcing, a career that lasted into the 1990s. 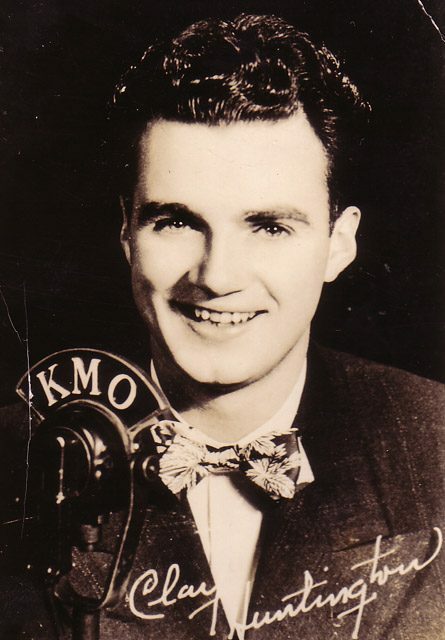 Throughout the years his radio voice could be heard reporting local football, basketball and baseball games for KMO, KTBI and KTNT. His Tacoma Tiger baseball broadcasts from 1946 through 1951 are remembered with fondness by Tigers fans from those days. 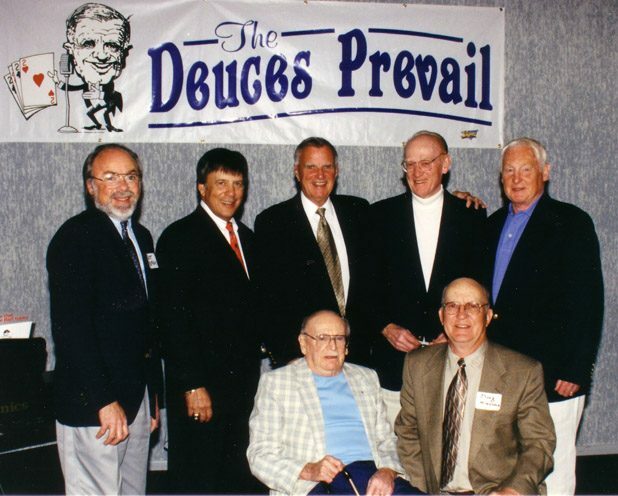 With two out and two on and with the count two and two on the batter, Clay would utter his trademark call: “The dueces prevail!” He also did radio work on Tacoma Rockets hockey broadcasts in the late 1940s and early 1950s. In the 1950s, before the time of onsite play-by-play broadcasting, he re-created major league baseball games with Rod Belcher over a 14-station network that covered Washington, Oregon and Alaska. In 1953, he entered the realm of television announcing for both channels 11 and 13. Along the way he also encouraged other sports broadcasters, including Bob Blackburn, who was the voice of the Oregon State Beavers and Pacific Coast League Portland Beavers before moving to Seattle as the SuperSonics’ voice. Sports broadcasting is not, however, all there was to Clay Huntington. Like his grandfather before him, he had a sense of community that took him from behind the mic to center stage. Indeed, when asked about his proudest sports moment, Clay pointed to his grandfather’s Stadium Bowl funding success and how that impacted his Cheney Stadium role 50 years later, an effort he was rightfully proud of. Although a man of great humility, he also was proud of helping to fund Heidelberg Park, an endeavor pointing to the realization that Clay’s and Tom Cross’s efforts worked hand in hand. Tom created the sports programs and Clay rousted local donors into providing the funds needed to create the facilities. Located immediately north of Cheney Stadium, Heidelberg Park continues to provide a first-class field for recreational, high school and advanced amateur teams. When talking to Clay, you would encounter a walking textbook of early Tacoma history and stories that went beyond the realm of sports. It is no wonder, therefore, that his contributions to the community also include the promotion and preservation of our sports history. In recognition of Clay’s commitment to youth and sports journalism, the TAC in 2000 established the Clay Huntington Sports Communication Scholarship Award to help high school graduates in their pursuit of sports broadcasting and journalism. Huntington died June 1, 2011 at the age of 89. On April 21, 2012, on what would have been Clay’s 90th birthday, the TAC, City of Tacoma and Tacoma Rainiers honored the local sports icon by renaming Cheyenne Street as Clay Huntington Way between 19th Street and the Cheney Stadium and Heidelberg Park parking lots.